It servers equally well in the mountains as well as crowded streets. Waterproof 360 Vertigo material is exceptionally abrasion resistant and thanks to 15 000 mm water column practically waterproof. Quality polyurethane lamination prevents moisture from entering and is sufficiently breathable at the same time to prevent unnecessary perspiration. You will find zipper ventilation under the arms for event better ventilation. The hood is ready to go into action during sudden weather changes. Considering practicality, inner and outer pockets, double sided zipper with double slider or adjustable velcro cuffs come in handy. 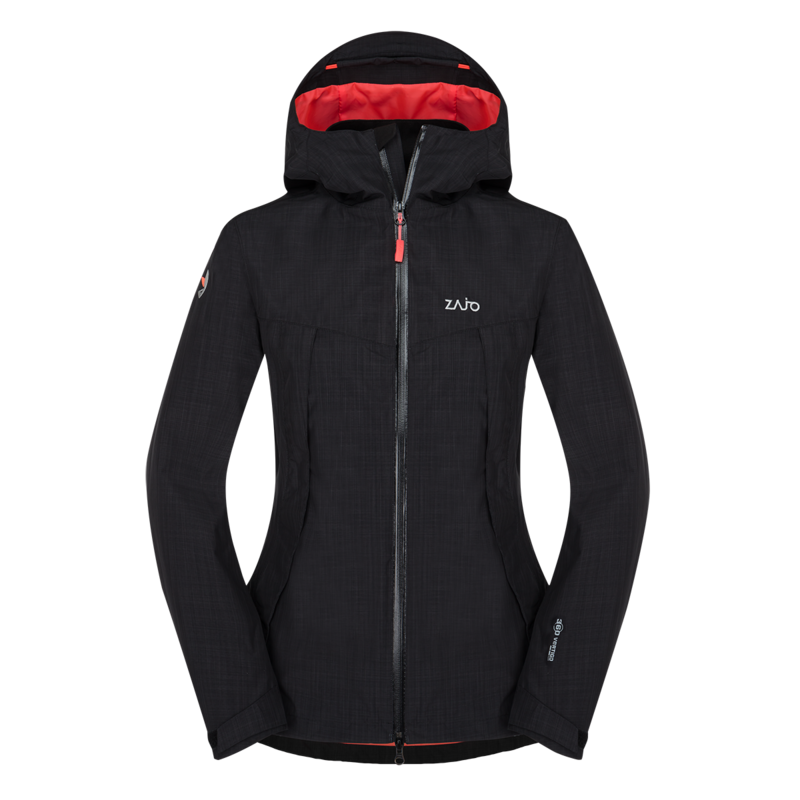 We increased the waterproofness by backing taping the seams and using quality YKK zippers. Practical strapping in key areas prevents carving. In the nature or in the city, this jacket feels good everywhere. And with it, so will you. but not waterproof. We do not recommend keeping items in your pockets that may be damaged by moisture. All membrane products shall be washed in automatic washing machine with scrimping program determined for synthetic at the temperature of 30° C. It is recommended to use special liquid laundry agents which are more soluble than classical ones. Classical liquid laundry agents may clog the membrane pores and so to reduce the breathability of the membrane. When washing in washing machine, select one or two additional rinsing cycles to remove laundry agent remainders from the product thoroughly. Don’t not use any fabric softeners! Very contaminated clothing parts shall be soaked with water and washed with washing or coco soap manually. When washing manually, avoid strong mechanical rubbing. The clothing shall be pressed softly and then rinsed thoroughly. Avoid manual squeezing and removing the water by twisting the clothing because it might damage the membrane. After washing, let the water drain away from the hung clothing and dry at room temperature. When cleaning professionally, require rinsing of product in clean distilled solvent and spraying of impregnation. Even though all of our membrane clothing is provided with durable water repellent (DWR) treatment of the surface, it may be aggravated as a consequence of mechanical use, chemical influences and temperature changes over time. The life time of the water repellent treatment depends on care of clothing and use demands. Attention, do not confuse the water repellent with water-resistant properties. 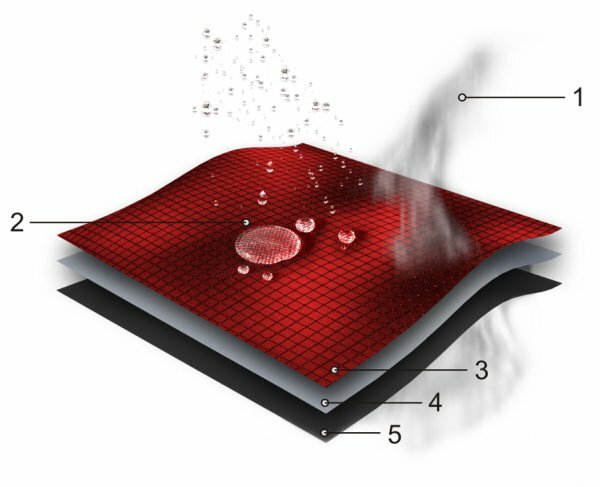 Reduced water repellent ability is manifested by reduction of drop creation when raining and the water starts to soak into the textile surface. Clothing soaked with water became heavier and closing of water film causes reduction of breathability. So it is rewired to renew the water repellent property after certain time of use and washing of the product by suitable impregnation. It is recommended to apply the impregnation by spraying onto the textile surface after washing the product. Suitable impregnation agents may be purchased in outdoor-shops.